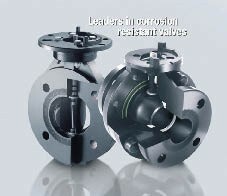 As a further commitment to their customers and markets, during the course of 2007 Shipham Valves have made further exciting and significant investments in their manufacturing facilities at their site in Kingston-Upon-Hull. 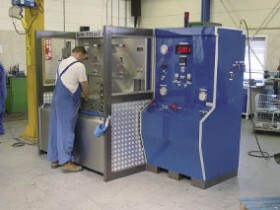 In order to support the core objectives of the business, to deliver a top quality product, first time, on time, the addition of two new CNC Machining centres and three new fully automated valve pressure test units, has ensured increased manufacturing capacity and further improved product quality and repeatability. This has taken the capital spend for the year to well over �750k at the Hull site. 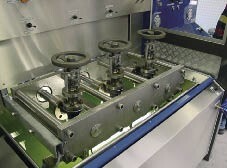 The investments have been made in conjunction with a �lean manufacturing� programme which has been running at the site throughout 2007.
l DAH LIH MCH - 630 Twin Pallet Horizontal Machining Centre fitted with Renishaw probe and Fanuc 0iMC CNC System and D`Andrea boring and facing heads - Servicing components for valve sizes ranging from 2" through to 8". Run and set up times have been reduced to increase productivity. l Dorries Scharmann Solon 4, 6-AXIS, 4 pallet, CNC Horizontal Machining Centre fitted with Renishaw probes and Siemens 850 control system - Sister to the existing Shipham Valves Dorries Scharmann Solon 4, this machining centre will perfectly compliment and run in tandem to increase machining capacity, particularly for large sized valves ranging from 8" up to 42". All three new test units are state of the art machines, with the latest cutting edge features like fully programmable PLC controls which enable all test procedures to be loaded at the point of order processing. This programme is then accessed by the operators at the point of works testing or factory acceptance test (FAT). Full traceability can be recorded by the system right through to the preparation of Pressure Test Certification. Operations Director, Syd Williamson, sees the investment in manufacturing facilities as the most significant to date by the company. Due to large growth in the demand for large numbers of medium to large size valves, machining and pressure testing of high volumes in these sizes was beginning to become a constraint to the business and a bottleneck in the manufacturing cycle at Shipham. 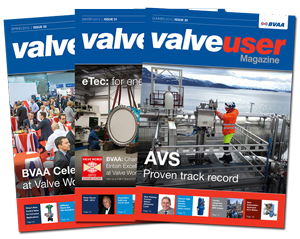 Syd and his team are delighted to have addressed this issue with these new investments and the commitment to Shipham Valves by its parent Flow Group Limited.